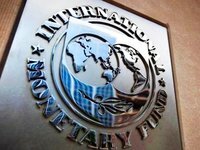 Ukraine's Ministry of Economic Development and Trade (MEDT) expects that a new program of cooperation with the International Monetary Fund (IMF) will be launched in 2020. This is projected in a draft government resolution on the forecast of social and economic development for 2019-2021. The document, in particular, provides a forecast for the net use of IMF resources. The base-case and expanded scenarios (including additional positive and negative factors) for 2020, in particular, imply an excess of disbursements from the Fund by $0.7 billion over repayments, the worst-case scenario predicts repayments will exceed income by $0.3 billion. The forecast for 2021 under the first two scenarios assumes net income from the IMF in the amount of $1 billion, the worst-case scenario says it will be zero. According to information on the IMF website, Ukraine in 2020 is to repay the Fund $948.14 million, including $788.02 million in principal debt, repayment in 2021 will amount to $1.087 billion, including $968.54 million in principal debt. The ministry forecast for 2019 assumes net payment to the Fund under all three scenarios in the amount of $1.7 billion, while according to the IMF, Ukraine will have to transfer $1.348 billion to the Fund next year, including $1.153 billion in repayment of principal debt.